Freedom from Diabetes, Blood pressure,Cardiovascular diseases. 70% of human body is water. Is the Water we drink really Healthy? Don’t Blindly drink any water, it is equally or actually more important than the food we consume. Water is the major source to maintain the acid-alkaline balance of our body. We must drink for a healthy life. Through a process of electrolysis (ionization) normal water becomes alkaline with a pH of 8.5 and above. Numerous clinical trials and studies showed successful recovery from hyper acidity, migraine, kidney stones, gout, skin problems and even cancer without medicines. Today, millions of people are benefiting from ionized alkaline water in USA, UK, Japan, Korea & all over the world. For a healthy life it is essential that we drink ‘Ionized Alkaline Water’. 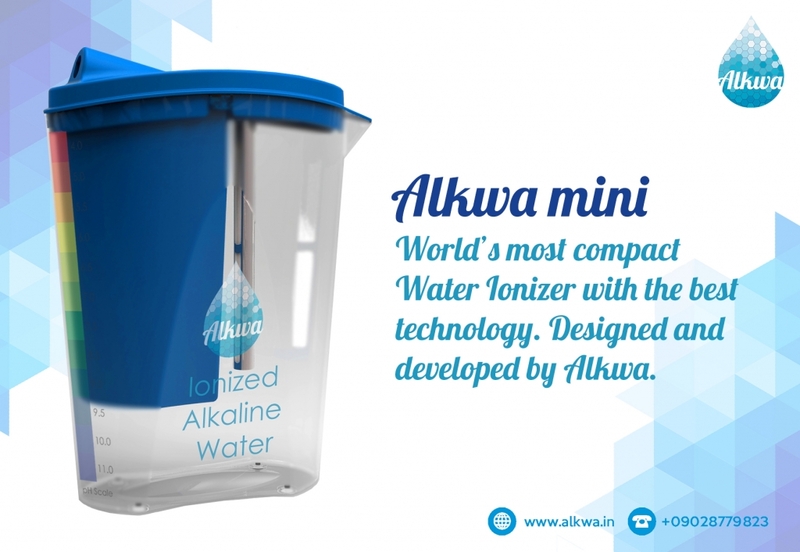 With an ever growing User Base, Alkwa is the most complete and trusted product on the market.